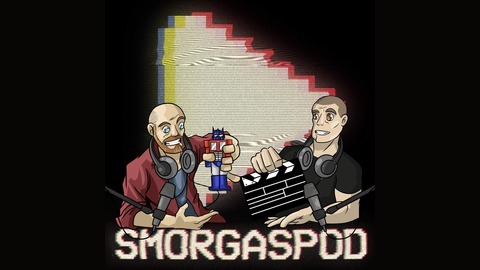 Weekly comedy and pop culture podcast and YouTube show, hosted by Arron Dennis and Andy Welch. 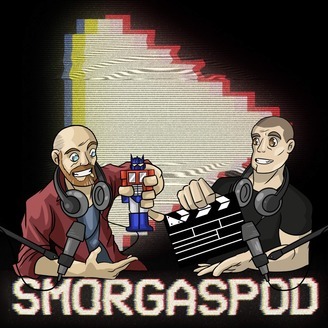 Head over to youtube.com/smorgaspod now and get even more content! Ep.134 - What the Hell, Boy?! It's resurrection time! No, not the Easter Bank Holiday kind, the "bringing back a franchise" kind! Andy has been to see Hellboy, and Arron isn't bothered, so we discuss, in a mostly spoiler free way, what is good, what is ok, and what can go to hell, about the new incarnation of the Dark Horse Comics hero. Naturally, chat also includes a bit of other Milla "Silent J" Jovovich vehicle, the much maligned (and rightly so) Resident Evil! Ep.133 - Sha-Bing, Sha-Bang, Sha-Boom-Boom-Boom! Ep.132 - Palatable Palpatine Palpitations! Ep.130 - By 'Eck, Tha'nos!